This week's guest is Morris Berman, the author most recently of "Dark Ages America: The Final Phase of Empire. "He has taught at a number of universities in Europe and North America,and has held visiting endowed chairs at Incarnate Word College (San Antonio), the University of New Mexico, and Weber State University. Between 1982 and 1988 he was the Lansdowne Professor in the History of Science at the University of Victoria, British Columbia. Berman won theGovernor’s Writers Award for Washington State in 1990, and was the first recipient of the annual Rollo May Center Grant for Humanistic Studies in1992. 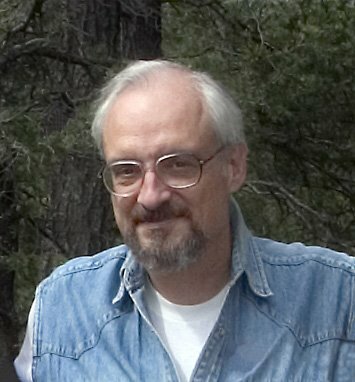 He is the author of a trilogy on the evolution of human consciousness–The Reenchantment of the World (1981), Coming to Our Senses(1989), and Wandering God: A Study in Nomadic Spirituality (2000)–and in 2000 his Twilight of American Culture was named a “Notable Book” by the New York Times Book Review. Dr. Berman has done numerous radio and television interviews in Europe, the United States, and Asia, and in recent years has lectured in Australia, Colombia, Germany, Mexico, and New Zealand. Since 2003 he has been a Visiting Professor in Sociology at the Catholic University of America in Washington, D.C. Thanks for this interview and the book (which I have not read yet). I have fretted about the fate of the USA for some time now, since I came to Canada from Minnesota in the early 70s. Nixon was our paradigm for a bad president at that time. But the current Bush makes Nixon look like a statesman, God help us. I disagree that the degradation of the USA is inevitable. The chief problem seems to be that no one acknowledges that there is a problem. May I suggest a small handful of approaches which might help? a) teach formal logic, beginning in grade 1. Work towards a day when a logical fallacy earns a laugh or a disbelieving stare -- not the current bland acceptance and the phrase (which should be struck from the language) "Everyone's entitled to his opinion." b) People are naturally greedy, so give them something useful to be greedy about -- set up a merit-badge type nonprofit to foster training and recognise skills and learning. In Girl Scouts I remember earning beads for different areas of accomplishment, and some girls were weighed down with hundreds of beads. c) foster a resurgence of the Beguinage system of the middle ages. I just finished watching your ordeal at the New Dominion Bookshop and must tell you I just ordered your book. Why? Because I have been persona non grata since ronnie dear for espousing many of your ideas. I would have enjoyed learning your ideas on what part human nature plays in our national greed? And I hope you will allow me to use your 'levers of power"metaphor. Terrific. My thinking tells me our country has but one chance left to save itself. And that is having The Grandmother of all recessions. A calamity which would last long enough for most all of the sources of big money and power to be destroyed. And in the process, the general population being forced to look at where our various governments and funamentalist churches have led them. And then, if the "12 percent" stepped forword, who knows what might happen?